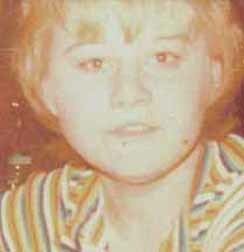 On February 2, 1976, Linda Sue Nickell headed out from her home in Flint, MI. to walk to a neighborhood bar called “The Thrift City” where she planned to use a pay phone to call a friend. The last person to see her was her sister who watched her walk away. She has not been seen nor heard from since that day. Linda’s family was not concerned initially because they thought she was staying at her friend’s house. However, after three days, her sister contacted the authorities. Nickell’s father is considered a suspect in her disappearance because of past abuse, however, he was never charged and died sometime in the 1990s. Posted on Wednesday, February 4th, 2009 at 2:43 pm. Last updated on Wednesday, March 9th, 2011 at 2:51 pm.